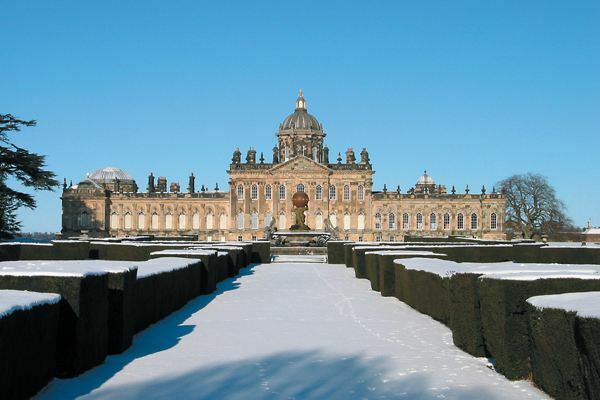 “As anyone who has visited knows, scale is something that Castle Howard knows a thing or two about,” says Victoria Howard of the glorious John Vanbrugh-designed stately home which found global fame in 1981 after it was used as the eponymous Brideshead in the Granada Television adaptation of Evelyn Waugh’s Brideshead Revisited. 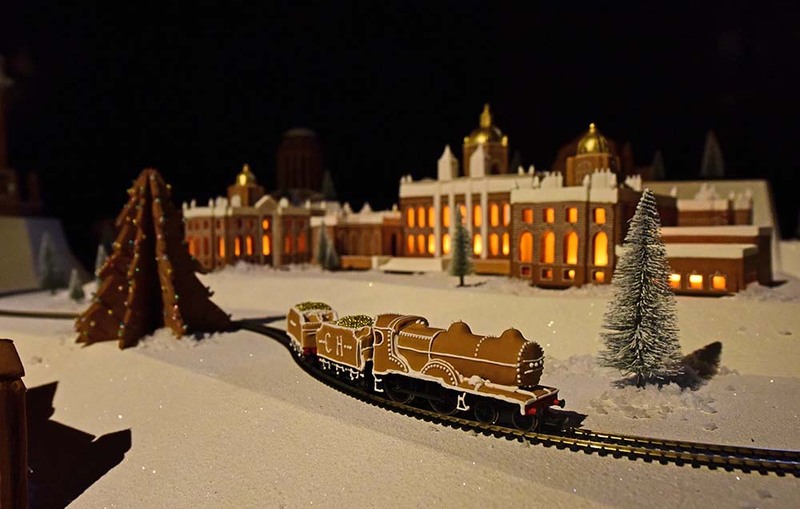 This year, to mark Christmas at Castle Howard, the magnificent house has been scaled down into an extraordinary gingerbread model, which be revealed to the public on Saturday 19 November when the house opens for Christmas. 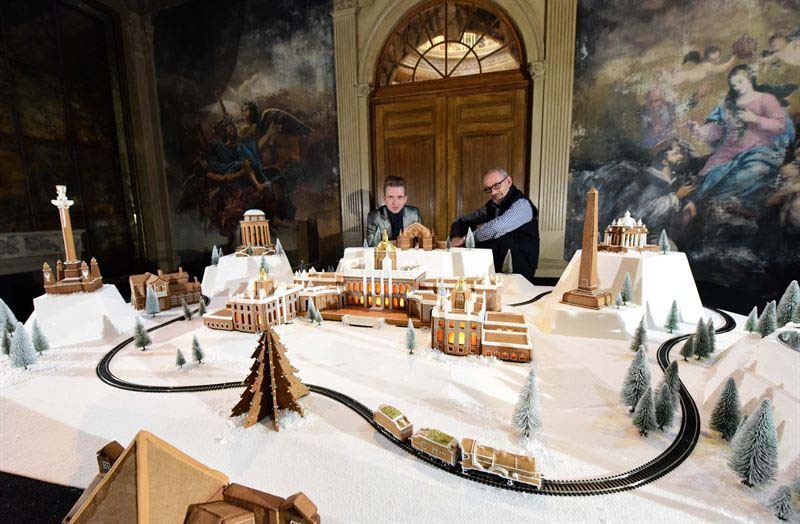 Depicting Castle Howard as it was originally designed by Sir John Vanbrugh, the model will include buildings by Nicholas Hawksmoor, as well as the much later Castle Howard railway station, famously used by Queen Victoria for her visit, created from spiced biscuit, with a gingerbread train wending its way along tracks laid through the confectionery estate. Also new for 2016 will be a festive ticket, which not only includes a visit to the house and gardens, but also an exclusive Christmas afternoon tea, inspired by traditional Christmas dishes and served by a warming fire in the Grecian Hall. 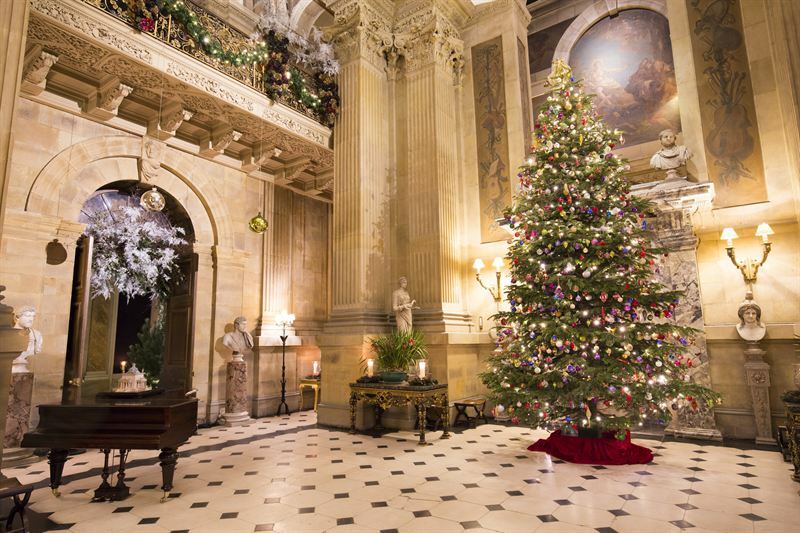 The house has a reputation for putting on one of the finest displays in the country, featuring many Christmas trees, and tens of thousands of baubles, fairylights and candles. A special twilight opening on 18 December will also enable families to experience Castle Howard as darkness falls, with the house illuminated with hundreds of candles and a festive sing-along in the garden; for the twilight opening, last entry to the house will be 7pm.